Thanks to 2005 Boards member griffin-of-oz for reporting that Masterpiece MP-34S Shadow Panther Is Coming To TRU Australia as an Online Exclusive. 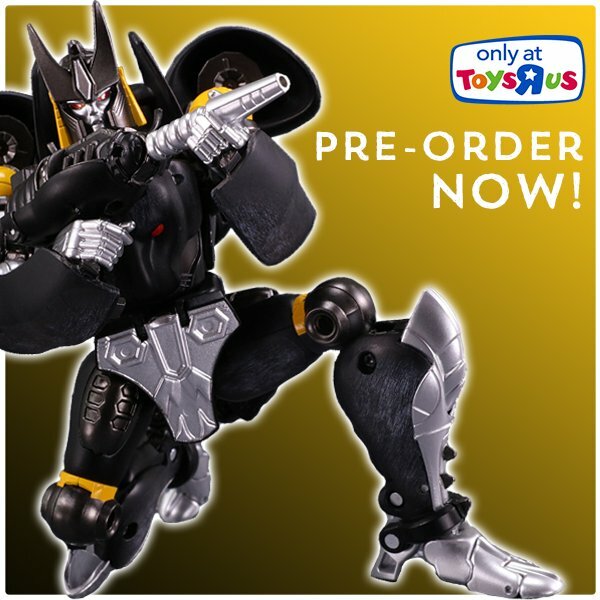 ToysRUs Australia usually gets direct imports from Transformers toys that are released in Asia, which includes Takara Tomy toys and HK exclusives. This time, the most recent Beast Wars Masterpiece: Shadow Panther (sold via Takara Tomy Mall in Japan) is listed at ToyrRUs Australia website. You can pre-order Shadow Panther for just AU $110 (US $90 approximately) plus shipping. This is a very nice price compared to previous releases which had been more expensive. If you live in Australia this is a great chance to get MP Shadow Panther for a fair price, but think fast since pre-orders will be open for just 2 weeks until February 25th. Then you will have to be patient until October 2018, when pre-orders will be finally delivered. You can now click on the bar to let us now your impressions at the 2005 Boards! Did anyone else pick up some Japan Beast era stuff directly from Hasbro? I scored Lioconvoy and Longrack this way…I treasure those figures to this day. For those who haven't been around for a while, or take much notice of what happens in Australia… from time to time ToysRUs Australia gets offered from Hasbro Australia, direct imports of Transformers toys that are released in Asia (which includes TakaraTomy toys and HK exclusives). After a little break following the Unite Warriors boxsets in 2016, ToysRUs have a new TakaraTomy toy on offer, this time as an online exclusive – Masterpiece Shadow Panther (the redeco of Cheetor with some new parts). The only real drawback here, is that this stock is to be released in October, compared to August in Japan and Asia… but if you are willing to wait, this is one of the rare occasions that the price here (in Australia) is on par, or better, than in Asia.